Regardless of the health aspects discussed in another thread, I'm pretty happy with my first cider results. I brewed 3 five gallon batches using Notty, US-05, and Cote des Blancs yeasts and cider from a local commercial operation. The cider was a blend of about 11 different apple varieties, smelled amazing, and was delicious fresh. I pasteurized all 15 gallons by heating to 160 degrees and holding it there for 15 minutes before putting each 5 gallon portion in a fermenter and pitching the yeast on 9/19. Gravity started at 1.040-is and finished at 0.994 giving me about 6% ABV. I've tasted all 3 versions still and the results are as follows: all three retained the delicious apple cider aroma. Both the Notty and US-05 versions came out very dry with the US-05 having a hint of what I can only describe as yeast flavor? The Cote des Blancs retained a nice apple tang to go go along with the nose and is hands down my favorite. I also have kegged all three versions and the US-05 improved once it got some CO2 bite as a sparkling version. Still waiting on the CDB and Notty versions to get their fizz. The only problem with this stuff is I can't stay out of it! I bottled the still versions in used screw cap wine bottles. FYI, there are only two pints in one of those wine bottles. I also have some Perry going using juice from the same outfit and CDB. I talked to the cider guy yesterday to make arragnements to give him some of my hard cider and he is going to be pressing some Bosc pears and told me he'd give me some of that juice as well. Guess I'm going to make some more Perry. Thank you Noob! I do enjoy hearing about the characteristics! I'm still awaiting mine to finish up... I checked the K.Voss and I was at 1.020... Today I'll check the other one... Imagine, I can't remember which yeast is in that one? Great to hear your experiences and that they've turned out well for you. I too have my first perry going right now with CdB. Not sure what pears they were but my guess is Bartlett. Lots of sulfur so far, will need some time to mellow. I'm envious of the Bosc pear juice, hope to hear some results from that later if he comes through for you. Bosc is just about the best pear variety I know of. The Perry seems to be moving much more slowly than the ciders did. From what I've read that seems to be it's MO and I'm expecting it to be finished sometime in December. Are you getting cider apples? I cannot get them here so I think I will add some crabapples next time to give it some tang. I'm not. This outfit presses commercially and sells to stores as well as to individuals. 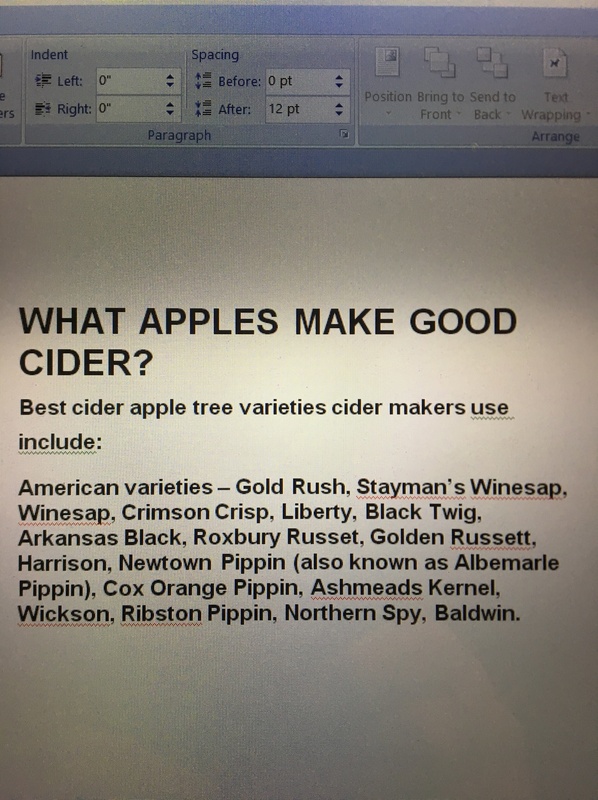 The cool part about it is the owner grows a zillion varieties of apples, is motivated to develop some blends to make really good hard cider, and is willing and able to press whatever ideas we come up with. Found this in my search. We used to have some of these on the ground I live on. I think my cider guy has Winesaps for sure. Be cool if he had some others. He is kind of an “apple nerd”. I've seen a few local orchards offering fresh cider. Just ordered some CdB for my first attempt at a hard cider. 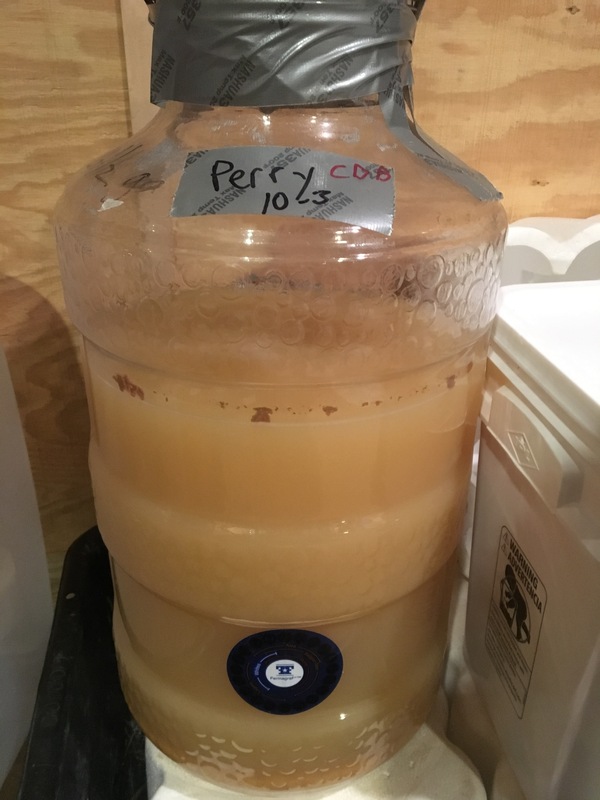 Anything in particular I should look for or avoid in fresh cider? Any other recommendations for my first try? I won't be using campden. I may pasteurize it. I want it to be palate-able to a broader spectrum of people so I feel like it shouldn't have too much funk. Reach out to @dmtaylo2 for specifics- very helpful! I pasteurized my first try too. Making cider is fast and easy, enjoy!